On the cusp of making his stage design debut with Other Desert Cities, artist Callum Morton spoke to Stephanie Convery about his work. The first thing Callum Morton says is, ‘I’m not an architect.’ It’s my fault for introducing the word. Morton is famous for his art, yet you can understand my slip of the tongue. From the clean sophistication of International Style (1999, based on architect Mies van der Rohe’s Farnsworth House) to the haunted, smoking ruins of Valhalla (for the Venice Biennale in 2007 and re-installed in the 2009 Melbourne Festival), Morton’s sculptures and installations often draw from a deep understanding and appreciation of architecture and architectural forms. 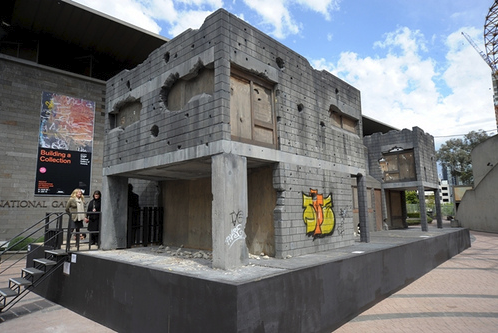 Valhalla, by Callum Morton, appeared at the 2009 Melbourne Festival. 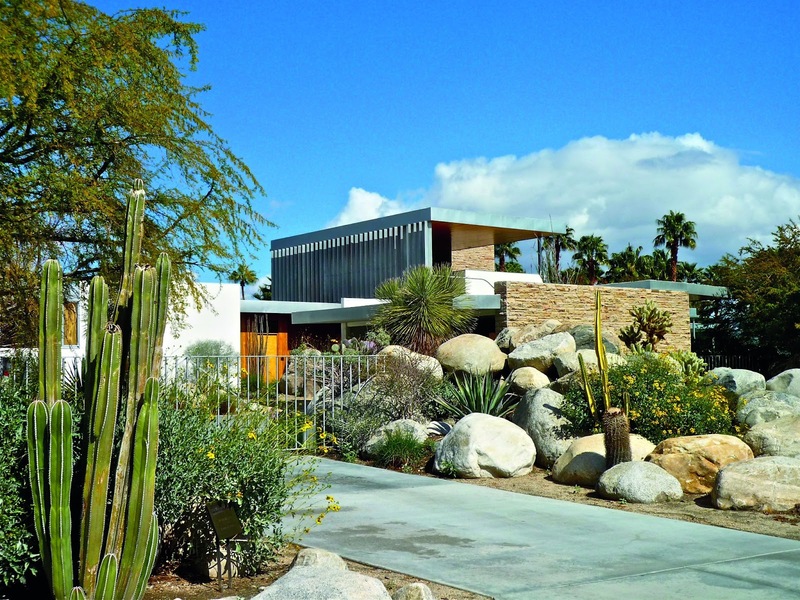 The Kauffman House in Palm Springs, California. Other Desert Cities is playing at Southbank Theatre, the Sumner from 2 March to 17 April. Valhalla image by Carla Gottgens. This article originally appeared in our quarterly subscriber magazine Scenes.